More than a decade of ASSD sponsorships. GeoSpace is committed to the improvement of official statistics in Africa. We have been proud sponsors of ASSD since the ever first event was held in 2006. 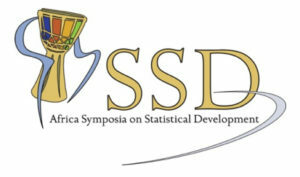 The Africa Symposium on Statistical Development is a forum created to address a concern by African statisticians in a gathering in Yaounde, Cameroon in the year 2005. Taking place against a background of poor performance of African countries in undertaking population census previously and a report that painted an unimpressive picture of the continent’s state of readiness for the 2010 Round of Population and Housing Censuses, it was decided that something needed to be done to improve the situation going forward. A fortification meeting was subsequently held in Cape Town in 2006 which ushered the ASSD as a standing platform with an initial objective of mobilising all African countries to ensure that they carried censuses in the 2010 round covering the period 2005- 2014. ASSD has subsequently also focussed on Civil Registration and Vital Statistics (CRVS) – another area of official statistics where there is huge room for improvement. It is not only through our sponsorships that we have contributed to statistical capacity building in Africa. Smart Census, the software platform developed by GeoSpace in association with Hexagon Geospatial, with Airbus as a content provider, is the culmination of more than two decades of experience gained in the census domain in Africa. We believe that the Smart Census platform will contribute to significantly improved quality censuses and surveys in Africa and globally. GeoSpace International (Pty) Ltd is a Pretoria (South Africa) based company that has been active in the geospatial industry in Africa since 1989. GeoSpace is a leading aerial photography service provider in Africa. The Company provides truly unique census solutions and is arguably the largest socio-demographic field survey house in Africa. Our technology partners are Hexagon and Airbus.